SHAREEKA EPPS: Ever since 21-year-old Epps burst onto the big screen in 2006 with her first full-feature film Half Nelson (co-starring Oscar nominee Ryan Gosling), she has impressed audiences with her impeccable delivery and undeniable talent. after garnering several accolades, including the Independent Spirit Award for her performance in the drama, Epps went on to play a myriad of TV and film roles in Law & Order: SVU, My Soul to Take, and her heartbreaking turn in Mother and Child. This year the starlet headlines the upcoming indie drama Yelling to the Sky. ZOE KRAVITZ: With parents like rock star Lenny Kravitz and former child star-turned-movie-star Lisa Bonet, all eyes are on their daughter to perform. Luckily Kravitz proves she's got the chops to back it up. From her quirky role as Nia in the dramedy It's Kind of a Funny Story to Pearl in the Showtime series Californication, Kravitz is sharpening her skills as actress by taking on diverse roles. Next up? The eagerly-anticipated blockbuster X-Men: First Class. RASHIDA JONES: Few Black actresses have achieved the crossover success Jones has. Snappy comedic timing blended with heartfelt dramatic performances has catapulted Jones from simply the daughter of music icon Quincy Jonees (and, ahem, a Harvard graduate) to a bonafide movie star. If her performance in last year's The Social Network proved anything, it was that Jones is here to stay. Next up for Jones? The Sundance darling My Idiot Brother, co-starring Paul Rudd and Zooey Deschanel. SANAA LATHAN: With a career peppered with numerous romantic comedies, Lathan has always managed to charm audiences with her "against-type" dramatic roles as in Out of Time with Denzel Washington and the 2008 TV remake of the classic A Raisin in the Sun. This fall the Independent Spirit Award nominee (for 2001's Love & Basketball) will join the ranks of Matt Dillon and Kate Winslet in the sci-fi thriller Contagion. 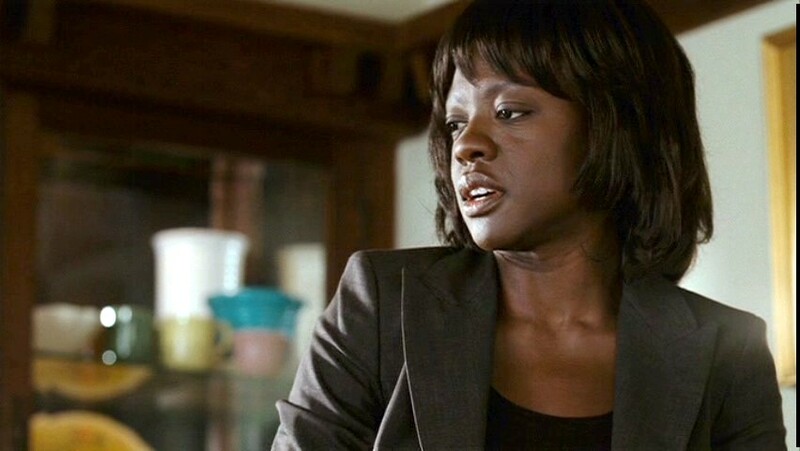 VIOLA DAVIS: Even though we all probably wanted to hand her a tissue to blow her nose in that heart-wrenching scene in 2008's Doubt, few can deny the Oscar nominee was mesmerizing in the role. Davis, who's been "popping up" in movies since the late 90s taking roles in Out of Sight and Traffic, and later in State of Play among others), will headline the film adaptation of the bestselling book The Help out this summer. 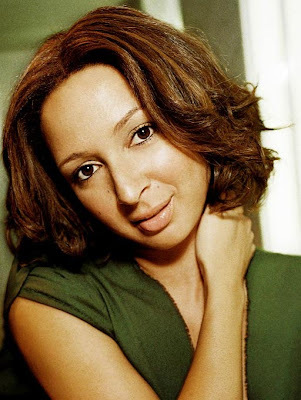 MAYA RUDOLPH: While we all mourned Saturday Night Live star Maya Rudolph's departure on the hit show, we feared the hilarious comedienne would fall through the cracks of Hollywood thereafter. But she proved her longevity in roles in Shrek the Third and the underrated drama Away We Go. Next up Rudolph teams up with fellow SNL star Kristin Wiig in the female romp Bridesmaids out in early summer. TARAJI P. HENSON: With performances in Hustle & Flow, Brothers and Baby Boy, we feared Henson would become typecast as the crass, rowdy character. But when mainstream Hollywood caught wind of her Oscar- nominated turn in The Curious Case of Benjamin Button, her roles have gotten significantly more diverse. Say what you want about the remake of The Karate Kid last year, but it was one of the highest grossing films of the year proving Henson as a bankable star. Next up Henson will star alongside Julia Roberts in Larry Crowne, directed and co-written by Tom Hanks. Wow! What a list. You have 2 of my favorite actresses here. Viola Davis and Sanaa Lathan. I remember seeing Viola Davis on an episode of Law & Order: CI and thinking. Wow, she is good! Then her Oscar nomination for Doubt. I think she is ready to be a big star. I hope Hollywood is ready.